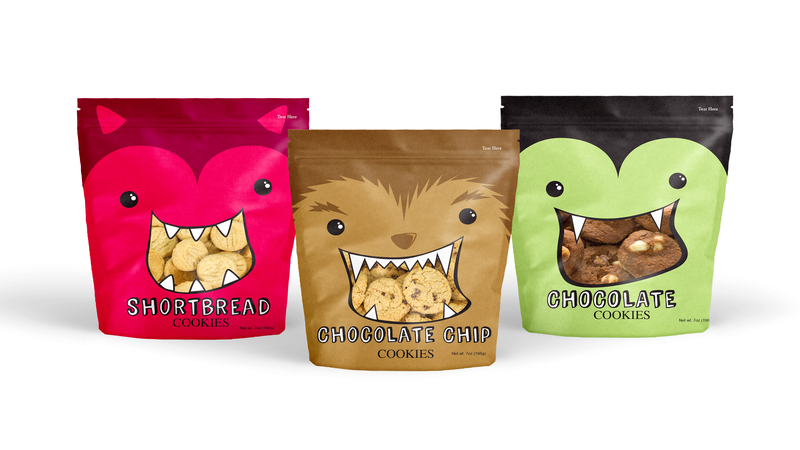 A few years ago I designed a bag for a cookie company to have for their fall line. Well, it turns out that the printing company created some complications to this concept (at least that’s what I was told, who knows how much they try to protect the designer from the truth) and this never went through to final production. Being 2 years later, I still love the design and the complexity of creating something that is both easily recognizable as a horror character and is still pretty adorable at the same time. The company’s iconography has been taken away in case they want to use it someday, but here is my take on a Halloween package design. Hi! Love it! What are the dimentions?